Sadly, our organizer, Rita, was living in a house that was much like Humpty Dumpty - it had a great fall and her landlord wouldn't send in the horses or the men - so Rita.... moved. Even more sadly, some of the Sparkling Rocks didn't make it outta the Humpty House without damage to the envelopes....so many of us haven't received them. Please pray for Rita as I know this has been VERY difficult on her and her family but they ARE safe - just had to move with little warning. 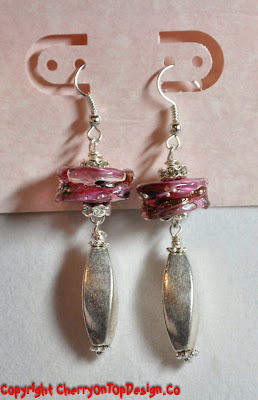 Gorgeous "sparkling" earrings. Love the design. Beautiful earrings, very sparkly too. What a charming pair, I really love them! your earrings are so nice! !